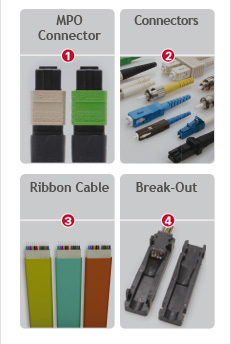 The Optronics MPO Fiber Optic Jumper offers up to 12 times the density of standard connectors, providing significant space and excellent performance. The Optronics MPO Fiber Optic Jumper utilizes precision ferrules with metal guide pins and precise housing dimensions to ensure fiber positioning when mating. Each fiber is 900µm tight buffered and Kevlar® protected to ensure high resistance to pulling and installation.